Good morning! 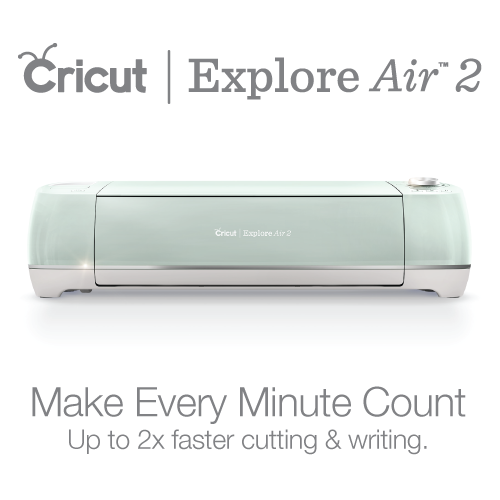 I hope you’ve been following along with my Cricut® question series. You can see question 1 here & question 2 here & question 3 here & question 4 here. Annnnnd now we have moved on to question 5 ~ What different kinds of DIY projects can I make with the Cricut? The short answer is TONS! Anything from home décor, DIY gifts, handmade cards, paper projects, signs, foam flowers, stencils….the list goes on & on. There are so many possibilities with the Cricut. :) I’m one of those moms that “makes” my kiddos dress in their 4th of July shirts every single year! ha! Today I’m going to show you how I made this cute 4th of July T-shirt for this year. Let’s get started! You will need a few supplies to get started. I found this cute fireworks image from Cricut’s design store. I opened it up in Cricut Design Space & sized it to fit my t-shirt. I sent it to get ready to cut. Tip: Don’t forget to mirror the image since this is an iron transfer project! It will reverse your image & get it ready to cut! Next, I loaded my machine with red Cricut® Glitter Iron-on. Be sure to turn your dial to iron transfer before you begin cutting. Then press go! Then I ironed on the image to my shirt. You see a more detailed tutorial on how to do that here. PS My daughter’s sparkly 4th of July shirt was made the exact same way! To see how to make the Let Freedom Ring sign go here. Check out these other fun iron on vinyl projects! Right now Cricut is having a sale on all it’s iron on products. Hurry though, this sale ends TOMORROW! Does your family do 4th of July t-shirts?